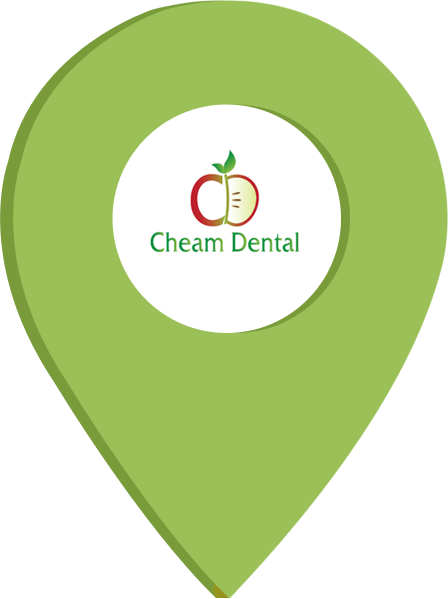 We are committed to providing you with high-quality, state-of-the-art dental care and to make your visit to Cheam Dental practice as pleasant and as comfortable as possible. At Cheam Dental, we put you first. Our vision is to make a positive difference in the lives of children, youth and adults of our community, by offering the highest-standard of dental care, in a friendly and comfortable atmosphere. The Patients: To treat each patient with dignity, respect, kindness and understanding to demonstrate that the patient is valued in this practice. The Rules: We follow strict compliance with all regulatory and ethical rules set forth by the concerned bodies. The Quality: We always try to pursue excellence in dentistry and will always be open to new possibilities. The place: We aim to obtain and maintain long-term relationships with our patients by providing them a clean and friendly atmosphere. Book your next appointment with us on 020 8337 2886, to see how we can help you. The core of our vision is to provide you with a personal touch in enhancing your dental health and managing your treatment plans. We have the tools and knowledge to provide you with exceptional dentistry in a comfortable environment Our staff are not only experts in their sector, but are also open and approachable lending you a helping hand at each stage. We appreciate the sensitivity of dental care being personal and understand that careful listening, understanding and comfortability is essential. We have local expeditiously trained dentists here at Cheam Dental who will ensure your experience with us is top notch, with clinical expertise and use of the highest technology for your treatment. We want you to smile with confidence and to give you the treatment and information you need, to keep your teeth and gums in a healthy condition. Whether you are looking to enhance your smile or a routine check-up, our dentists will talk to you openly about your treatment plan and listen closely to your dental care needs. We care about the small details and not only offer appointment times to work around your lifestyle, but also personalise your dental treatment plans so you can be assured that your dental health is in safe hands. Surrey for over 17 years. Cheam Dental practice. Well Caroline Daoud my lovely talented Dentist has put a smile back on my face’ literally’, after receding gum’s. My upper teeth were a mess, and now look amazing with my smile make over complete.The team are so helpful and understanding as to get my bite right wasn’t easy. A big thank you to everyone. I have been using Cheam Dental Practice for some years now, and specifically seeing Mr Patel. What an excellent dentist he is and the whole practice is an example of a first class dental practice with excellent service. All the staff are extremely friendly, but most of all the service and treatment that they provide is absolutely first class. Highly professional staff who care very much for their clients in all that they do. Also, very rare these days to find an NHS dentist who provides such excellent service combined with great value. Well done Cheam Dental Practice, if only all medical providers we’re this proficient life would be a lot easier! After having work at another dental practice I arrived pretty anxious as it wasn’t the best experience I had endured. However, from the moment I arrived I was greeted with such a warm friendly welcome. The dentist I saw was extremely professional and saw I was a little on edge. She immediately sort to reassure me along with her dental nurse. The whole experience completely changed my mind about how a trip to the dentist could be. If this had been my first experience of going to a dentist I would never have been worried. I couldn’t recommend this practice enough. Staff were outstanding. Thank you.